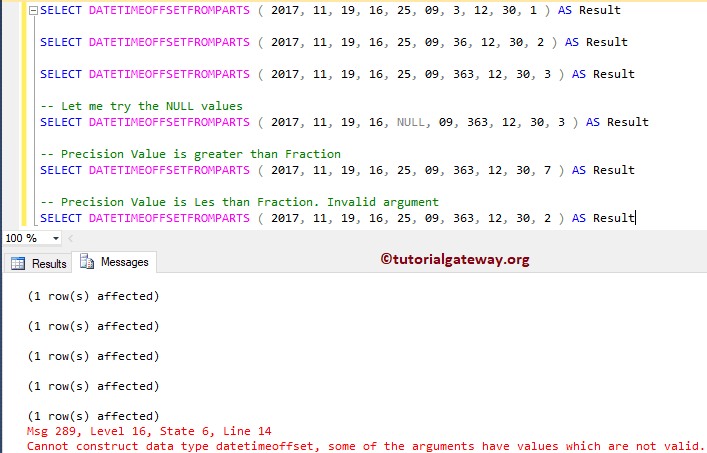 SQL DATETIMEOFFESTFROMPARTS function is one of the Date and Time Function, used to return a date time offset value from the users specified date and time parts along with fractions, and precision. In this article we will show you, How to use the SQL Server DATETIMEOFFESTFROMPARTS function with practical example. This function returns datetimeoffset data type value as output. Here, Fraction value will always depends upon the Precision. 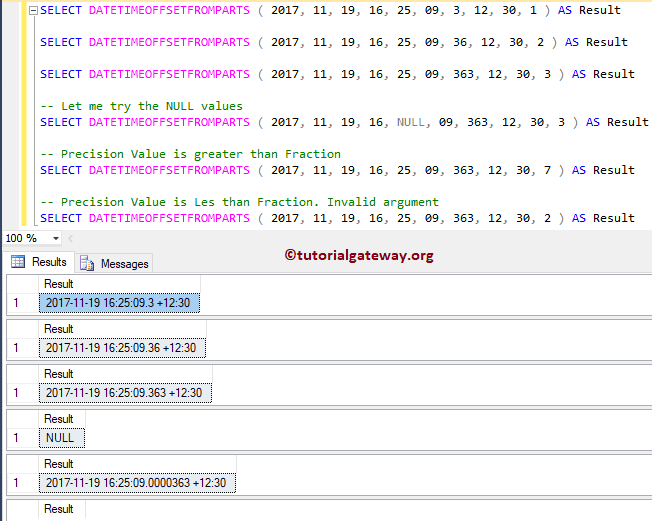 If the precision value is 5 then the value of the fraction must also be 5 (or less than 5) otherwise, it will throw an error. As you can see from the below screenshot, the last statement is throwing an error. This is because, Fraction value = 363, and Precision = 2 (does not match).